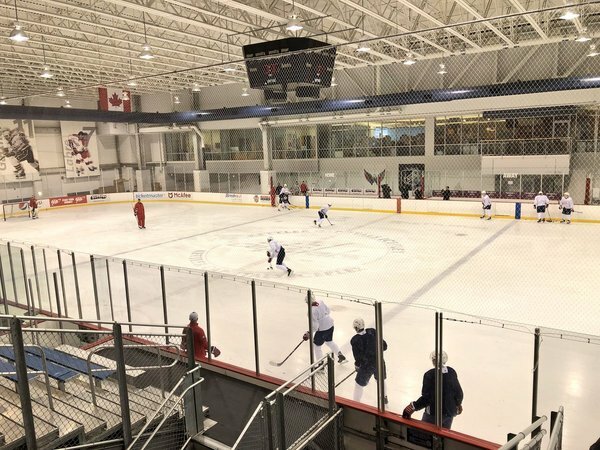 Optional practice for Capitals. No Jay Beagle (upper body). Forwards: Ovechkin, Kuznetsov, Oshie, Wilson, Beagle, Boyd. Beagle has been out with an upper-body injury. Boyd was sick. Oshie has been dealing with a lower-body issue, but has said he's good to go. Means zero. Trotz said it was a kind of maintenance day for the team. Dundon says Don Waddell is "interim GM"
The Capitals will meet the Blue Jackets in the Stanley Cup Playoffs for the first time in franchise history. Game 1 is Thursday at Capital One Arena (AP Photo/Nick Wass). 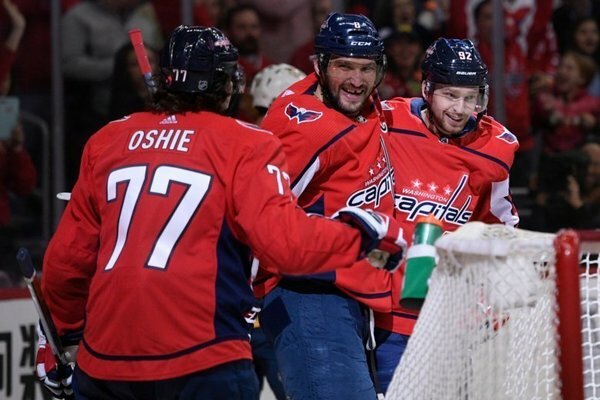 WASHINGTON — The Washington Capitals will face the Columbus Blue Jackets in the First Round of the Stanley Cup Playoffs. 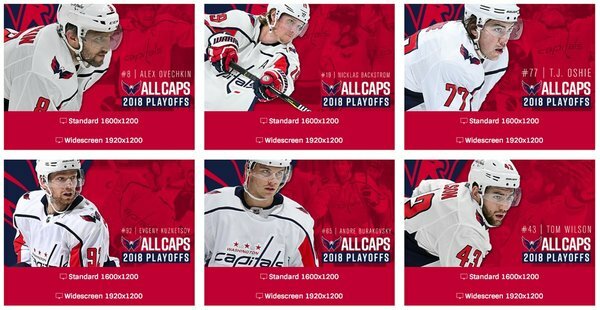 The series schedule was released Sunday with Game 1 set for Thursday, April 12, at 7:30 p.m. at Capital One Arena. See the full first-round schedule at WTOP.com. 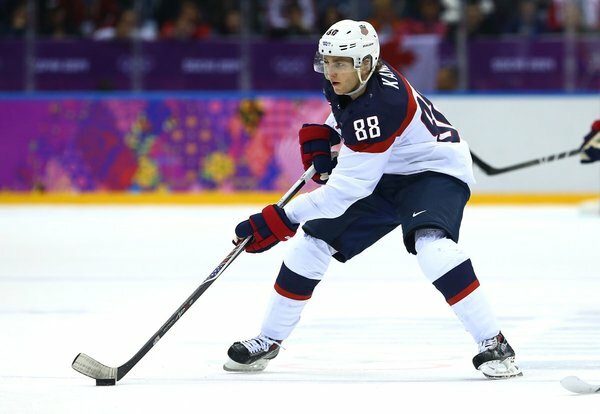 WASHINGTON — With the conclusion of the NHL regular season Sunday, Washington Capitals captain Alex Ovechkin officially secured his seventh career Rocket Richard Trophy as the NHL’s goal-scoring leader. This marks Ovechkin’s seventh career goal-scoring title, which is tied for the most in NHL history. Bobby Hull was the NHL’s goal-scoring leader seven times from 1959-60 through 1968-69. 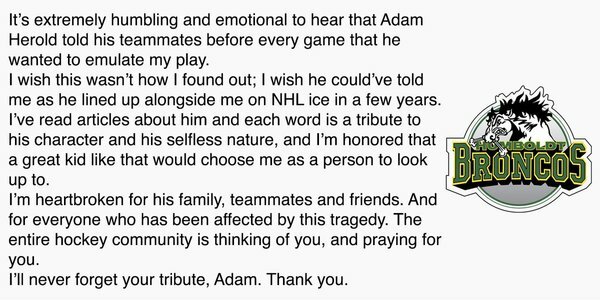 I’ll never forget your tribute, Adam. 2018 #StanleyCup Playoff Digital Downloads are here for your laptops and mobile devices! The 2019 NHL All-Star Weekend in San Jose will be different next season with the skills competition being held on Friday night (9 p.m. ET/6 p.m. PT on Jan. 25) and the all-star game on Saturday night (8 p.m. ET/5 p.m. PT on Jan. 26). 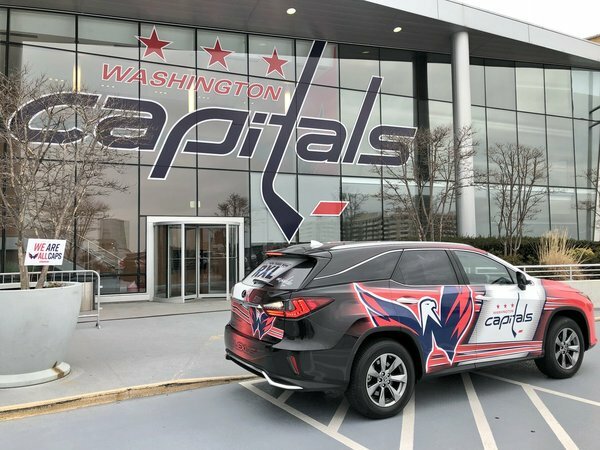 We’re heading out in the @Lexus #Caps Cruiser delivering some We Are #ALLCAPS Lawn Signs to a neighborhood near you!